Screen Recorder software comes in handy when you make troubleshooting videos, recording your amazing game performance to brag about it and so on. Instructional videos are informative and make the viewer understand things more easily. If you love to make such videos, then it is essential that you use a reliable screen recording app to accomplish the task. Here, we have picked some of the best screen recorder software for Windows PC that will help you record or stream videos from your Windows. TweakShot is one of the fastest way to take screenshots, edit images and provided results. The tool allows you to capture screen of an active window, certain rectangular area, or the full screen. The tool also comes with basic editing features such as resizing, cropping and more. It lets you take screenshot of your current browsing page. It allows you to capture a single window on your screen when multiple windows are open. It helps in recording screen activities along with on screen changes and mouse movements. It enables you to create images as it comes with full suite of editing tools. Ashampoo Snap 10 is one of the best screen capturing software which makes taking screenshots and video easy. You can capture and edit any content present on the screen. The tool has pixel precision which enables you to capture the entire screen or individual sections and convert them into images. It allows you to use arrows, automatic numbering, graphics and more to edit your images as per your preferences. It enables you to edit videos live and add drawings, texts and more. You can also add visualize mouse clicks and keystrokes in your videos. It comes with an easy editor which enables you to keep just the most important parts and highlights of a video. Balesio ALLCapture is one of the best screen recorder software which makes recording your screen easy and quick. The app interface is quite neat and is swift. It allows you to define the size of the preview window. It lets you add animated text objects and speech bubbles. It also allows you to add, record, edit and delete audio to the recording. You can import WAV files. The software comes with improved frame logic for better video capture & smaller file size. Free Screen Video Recorder is one of the best free screen recorder software as it is a compact screenshot capturing tool that allows you to record full-screen activities. It enables you to record screen activities which include on-screen changes, mouse movements, and speech from a microphone as well. It lets you resize, crop and rotate the captured images. It can save the output in BMP, PNG , GIF, TGA, and JPEG. You can also record the output with sounds. FlashBack Express lets you capture the screen and upload it you YouTube making it one of the best screen capture software which is available for free. Along with the screen recording, you can also record a commentary using a microphone, PC speakers or other sources. Unlike another screen recorder, it doesn’t leave a watermark and doesn’t restrict with a movie length. It lets you add notes to your recording easily. You can choose the start and stop timing of the recording so that you don’t have to stare the screen when the work is done. With all the amazing features like voice recording, voice synthesis, facecam, speed control, and screen drawing, Ezvid is not only a screen recorder but also a video editor which makes it a great combo. The screen drawing functionality of the software enables you to draw directly on the screen. It also lets you record a region of the screen. It can record incredibly sharp and high-resolution videos. It has an in-built YouTube upload feature and with auto-save functionality feature, it relieves you from the worries of losing unsaved work. One of the best software to record screen on windows 10, 7 and 8, TinyTake is considered to the fastest way to record your screen and videos. It enables you to capture images and record videos on your computer screen, add comments and share them in a few seconds. It also records a video using your webcam. It also allows you to share the screen recordings to the cloud. Record a region or the full screen, with TinyTake, you can do it all. Xsplit Broadcaster is a simple software that lets you record and live stream and get the best video content. It is the best software to record the best video content or start streaming your favorite games. You can broadcast your captured content to YouTube, Twitch, Facebook and more. It has customized plugins and notifications. You can edit the screen recording to make them better. It can capture input from any source like your computer screen, media file, a video card, and webcam. This screen capture software is easy to use screen recording tool which allows you to capture any area on your screen. It lets you record your screen with audio. You can capture screen, video instructions, create screencasts, record games and more in fullscreen or windowed mode. You can add arrows and other signs to make the image or screenshot more expressive. You can add watermark to the recording to mark it as yours. ActivePresenter is all you need if you want to record your screen and edit the screencast video. This easy to use tool can help you capture your screen in a smart and easy way. It allows you to record a full motion video and you can also add animation effects, comments and more. The video output can be saved in MP4, WMV, AVI, WebM. CamStudio is a screen recording tool that allows you to capture the screen activity with audio on your computer and gives you the output content in AVI. CamStudio can add high-quality screen captions to your recordings in a few seconds. 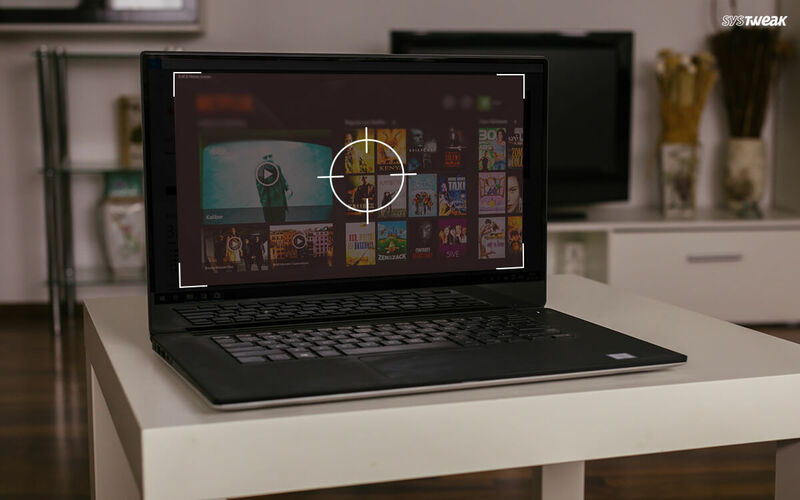 It has a unique Video Annotation feature that enables you to personalize your videos by including a webcam movie of yourself “picture-in-picture” over your desktop. CamStudio also has its own Lossless Codec that gives crystal clear results with a smaller file size. You have all the control on the video, you can increase or reduce the area of capture and size. Snagit is a screen recording tool that lets you create videos and images to make learning easier than ever. It is a multiplatform software which allows you to capture the area of the screen right down to the pixel. It enables you to edit and customize the screenshot to make it better and expressive. With the tool, you can capture a website, record an online meeting and also get a short URL to share your screenshots or recordings with anyone. It allows you to screen in panorama mode so you don’t need stitching tool. Webinaria is one of the best free screen recorder software as it lets you make tutorials and capture screen easily. It can record audio with your presentation or demo to make it more effective. You can save and edit your recording to add text and voice. It enables you to create Flash videos of PC recording. You can also add certain hotkeys. Last but not the least, Rylstim Screen Recorder is a lightweight application that lets you record the screen instantly and also enables you to save it to an AVI file. You can record all the happening events including the movement of the mouse pointer like visualizations of regular and right click. It can be download for free and also has a portable version of it. After installing, select the frame rate, codec, location to store the output content and you are all set to record. So, this is our list for best screen recorder software for Windows, so install any of screen capturing software and enjoy making screen recording content whether it is for a tutorial, instructional videos and more. In case, you have a favourite other than these software, please let us know in the comment section below.